The 2019 Dyngus Day Cleveland Festival will be held in the Detroit Shoreway neighborhood and feature a day-long event celebrating Cleveland’s hometown Polka heritage, and other Eastern European cultures thriving in Northeast Ohio! This is the 9th year for this annual festival that draws in over 40,000 in foot traffic! 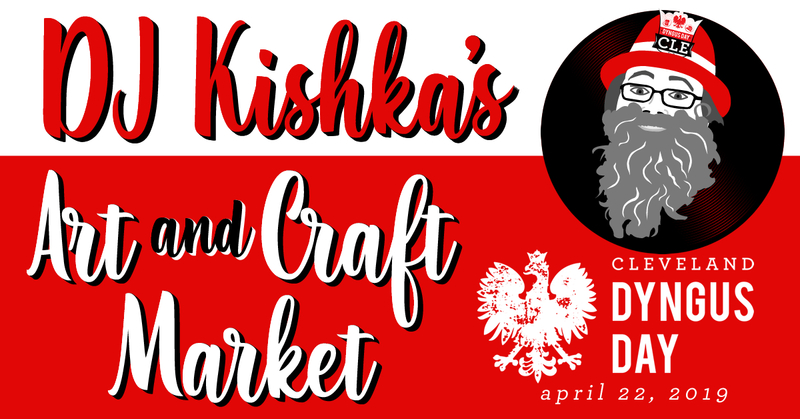 This year’s festival will host Polka bands, delicious authentic Polish food and beer, a designated family area, Dyngus Day Parade, Entertainment, the Miss Dyngus Day pageant, Lolly the Trolly free rides, and an Arts & Craft Market (featuring 25 of our Avant-Garde Art & Craft Show vendors), and more! This show is currently accepting vendors. Please email becki@ag-shows.com to apply. For more information about the Dyngus Day and other Avant-Garde Art & Craft Shows, please visit www.avantgardeshows.com. Also, become a fan and follow us on Facebook, Twitter, Pinterest, Instagram and LinkedIn! Detroit Ave. and West 58th St.
On Detroit Ave. and West 58th St.